We've all worked for free at some point. Why do we do it? Should we do it? 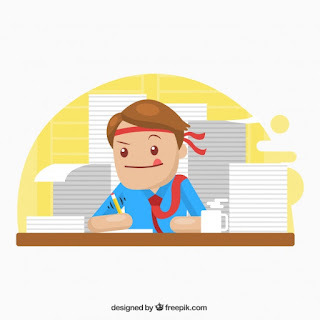 Why do we work unpaid overtime hours and feel good about it? What is a postliterate society and are we living in one? 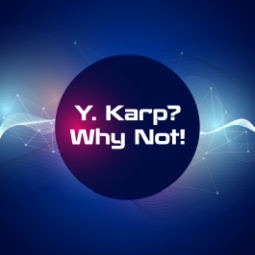 I dive into this question and include some of your thoughts about this topic in this episode of Y. Karp? Why Not! Getting the right amount of sleep, and good quality sleep is so important for your mental and physical well-being. The only way to know how to fix our sleep habits is to first measure it. Luckily there’s a lot you can do at home with consumer sleep tech. When you work for someone else, you never really know if when you get to work, the boss will call you into his office and tell you that you’re being let go. It can happen to anyone. Here are some of your stories about being fired. 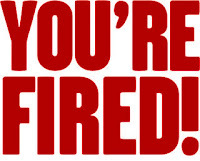 Click here for an article about the side effects of being fired from your job. The unveiling of Google’s Duplex technology at Google I/O last week was so amazing and so controversial, I can’t stop thinking about it. Here's my take and how it might affect you. Audience Contribution Time: You're Fired! I’m putting together a podcast episode about firing people and being fired and I would love it if you would share your interesting, funny, or even sad story about when you fired someone or when you were fired. Hacking attempts occur all the time. Are you protecting your customer's personal information? Does your business comply with GDPR? As a consumer, how do you minimize the risk of long-term damage caused by data breaches? We live in a face-down generation where everyone seems to be addicted to their phones. I tested myself to see how I would manage without my smartphone on a three-day vacation. How did I fare? Click here to read my blog post from March 2012 "Meet Tim", mentioned in this week's podcast episode. Episode 23: Is Seven Really the Lucky Number? "The Magical Number Seven, Plus or Minus Two" is a psychology paper by George Miller published in 1956. It contends that the human brain can only store up to seven chunks of information at a time. Therefore, says the theory, all information design must be based on this rule. Fact or fiction? There are times that you really want technology to step in and improve your life. Bio-Hacking isn’t something new. In fact, augmenting the body with technology has been around for centuries: Captain Hook’s hook, for example, or prosthetic limbs, eyeglasses, and pacemakers. But would I implant a chip into my body for something other than medical reasons? In December 2017, Google presented a paper that showed a new technological advance in text-to-speech. Until now, Google says, pre-recorded words stitched together doesn’t do the trick. The computerized voice comes off sounding fake. No kidding. The new approach that Google took resulted in Tacotron 2 - a new method of parsing text to speech that can replicate many of the nuances of human speech. The problem with money is that it affects everything in our lives - from the food we eat, to the clothes we wear, to the places we visit, and to the education we get. So I think that the truth is: Without a plan, you’re sunk. Here's a plan that just might help. To learn about the economics of Star Trek, see Rick Web's article on Medium here. Months ago, researchers discovered two exploits that affect billions of computers, tablets, and mobile phones. These vulnerabilities were only recently announced. Find out about the two supervillains of hacks: Meltdown and Spectre. Kodak announced at the recent CES exhibition that they are getting into the cryptocurrency game. It’s hard to know if this initiative by Kodak to ride the wave of cryptocurrency frenzy will drag the company back into the modern era, but they just might be getting some of their once-enviable mojo back. Here's the story of George Eastman, inventor, innovator, and founder of Kodak. This week’s podcast is brought to you by www.girlsciencestars.com. Show your teenage girls that they, too, can achieve great scientific discoveries. girlsciencestars.com features profiles of female science stars and what they have accomplished - new content almost every day! Just to let you know that I'm working on this week's podcast, which will be coming out on Monday night (IST), instead of Sunday. Do you stay up late? There’s always something interesting to do or important to take care of that you convince yourself has to be done right now. There’s that tweet that you have to read before it gets washed away. Facebook calls you to react to a post, and there are those videos of stupid people falling over that you need to watch so that you can be grateful that you aren’t one of them. All of these fascinating reasons for staying up far too late are seriously damaging to you and your brain.